Have your chat bot notify subscribers about new articles on your WordPress blog. 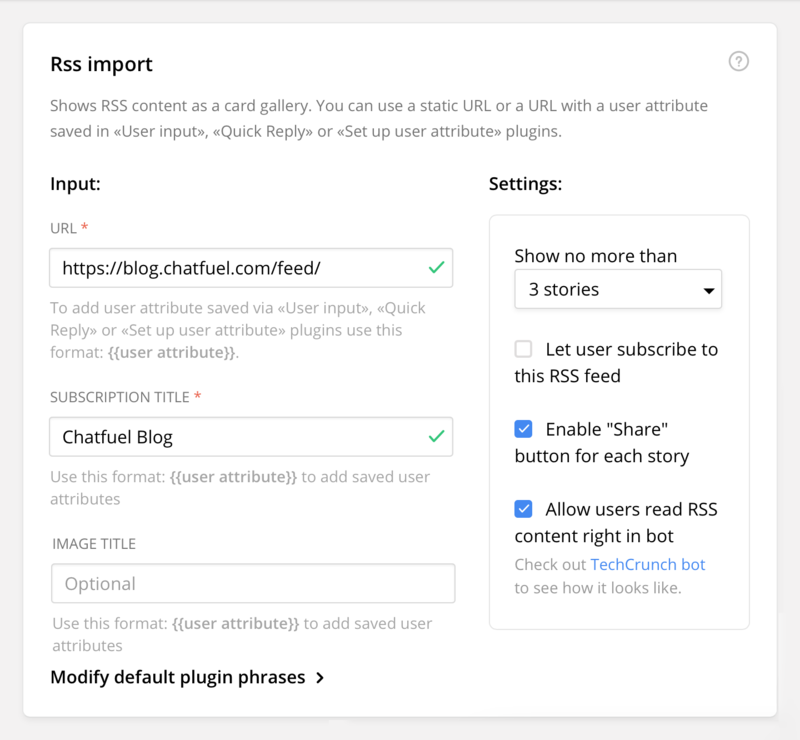 To integrate your WordPress articles into your chat bot, you can use the RSS Import plugin. Your latest articles will then appear in a gallery card to your users. WordPress enables a selection of different RSS feeds (for articles, comments, and more) when you set it up, of which we can use the content feed http://yourwordpresswebsite.com/feed/ in our RSS Import plugin. By default, WordPress' RSS feeds do not serve any article images, which causes the bot to take the feed image (if existing) or not show any image at all. If you would like your bot to display images for each article to your users you need to integrate RSS image tags in your WordPress' RSS feeds. This can be done by installing a WP plugin like Featured Images in RSS & Mailchimp Email.